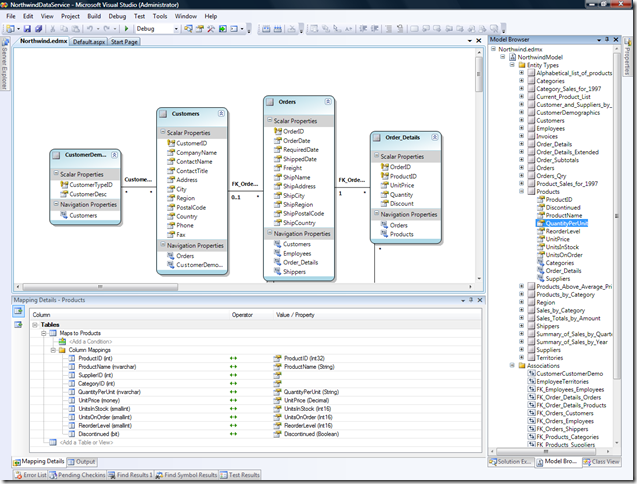 28/05/2010�� In our development environment, we notice that if we change the database schema and remapping the entity data model with the new databas shema. After the new database and code check in, some developers forget to get the latest the database and only get the latest code.... 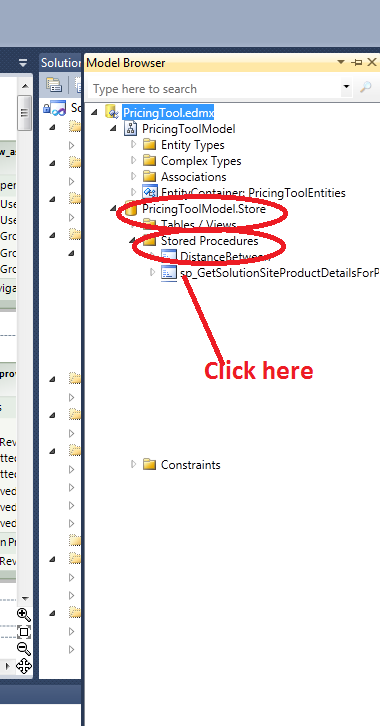 In a previous article, we saw how to Create an Entity Framework Model and Use it in Multiple Projects. In this article, we will see how to Add, Update and Delete objects in our conceptual model and push the changes to the underlying database. 8/05/2014�� To check if the model has changed since the database was created, entity framework uses _MigrationHistory table that is auto-generated. To fix this error, we have to tell entity framework what to... The ADO.NET Entity Framework is an awesome way to quickly pull data into an app. I�ve been building apps for a really long time and have used all the frameworks that have come out over the years. In this Entity Framework screencast we'll look at using Entity Framework Tools for Visual Studio to reverse engineer a Code First model from an existing database. 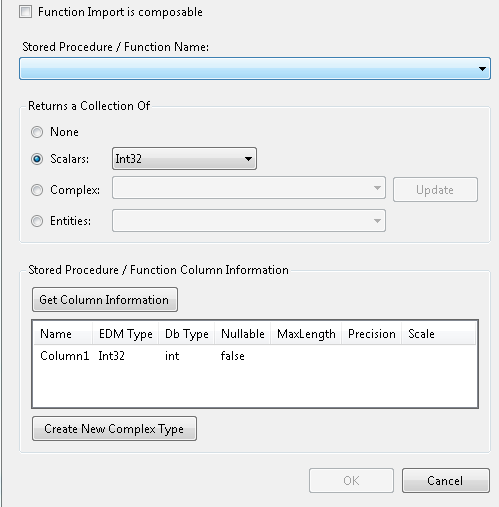 This functionality was introduced... Now, create a new Entity Data Model as shown in the Create Entity Data Model chapter or, if you already have an EDM, then update it by right clicking on designer -> Update Model From Database -> Refresh Student table. Updating the entity involves getting the entity from the database, make the necessary changes and then call the SaveChanges to persist the changes in the database. In one of our tutorial, we discussed how Persistence is handled in Entity Framework . Creating a Model for an Existing Database in Entity Framework Core Here you will learn how to create the context and entity classes for an existing database in Entity Framework Core. Creating entity & context classes for an existing database is called Database-First approach. In early 2015, I published a course titled "Looking Ahead to Entity Framework 7." This was created using an early version of the work that the EF team was doing on the total refresh of Entity Framework.